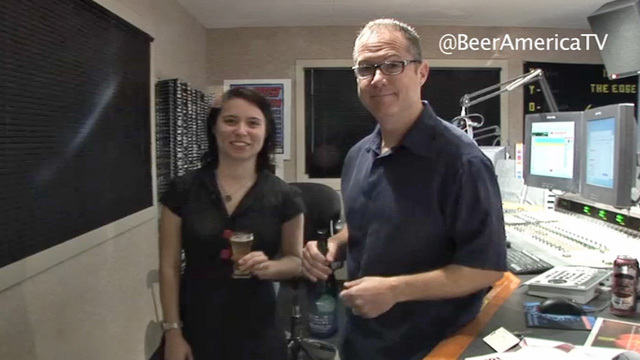 Beer for Breakfast on KDGE 102.1 The Edge Dallas/Fort Worth Radio | Beer America TV - Craft Beer in Motion! This week on Beer America, we were invited to Beer for Breakfast on Dallas/Fort Worth radio KDGE 102.1 The Edge. Morning show host Vydra tries a new beer each week at 8:10am, but there was one beer no one could get her in the state of Texas, except us of course! They rank beers, many of them low in shows past, so be sure to watch and see what they give this one. Paul – I’m waiting for the big announcement when one of the networks picks up your show. It will happen. You are doing great. Thanks Mark, we’re still patently waiting and hoping for at least one yes! If not, we’ll keep trying – it will happen!